Allowing gaming vets to test out the consoles claim to be the baton carrier to the Dreamcast's bid to keep the shooter up and running. Smart pack at a decent price to dip into import XBox 360 gaming. Second hand. Console bagged and boxed with card inserts and manual plus leaflets. May require a step down convertor depending on country of use. The console is rated at a maximum of 254 watts, therefore an appropriately sized step down would be needed. Compatible with NTSC capable TV's only. Items not included (nor are they meant to be) are the headset and a standard HDMI cable, but it does have a HDMI port. 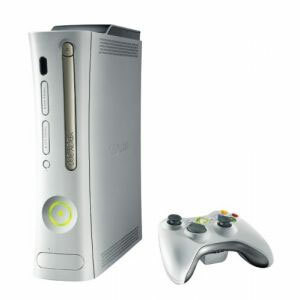 It includes controller, rechargeable battery pack, AV D Connection cable, LAN cable, remote control, console manuals/leaflets, console and 20GB Hard Drive. Power Pack serial number 0C21B083907812, console serial number 081520574607. No defects to report other than a couple of box imperfections and a dealer stamp on the box reverse.